If you have had a relative or friend pass away recently, and you have the task of handling his or her estate, please contact me. Whether or not there are trusts involved, I’d be pleased to help you. In a Virginia probate proceeding, the Circuit Court, generally acting through the Clerk and a court officer called the Commissioner of Accounts, oversees the process of validating the will, taking an inventory of the deceased person’s property, paying all debts and taxes due, identifying the proper heirs, insuring that the property is distributed to them in the manner that the deceased person directed, and filing annual reports with the Court until the estate has been distributed fully. The actual work is done by an “executor” (usually a relative or friend, or sometimes a financial institution, whom you nominate when you make your will) with the assistance of an attorney and often an accountant. For someone who dies without a will, the estate is administered by an “administrator” who performs similar duties. The Circuit Court requires an executor to report how every penny of estate funds, and every significant asset that the person owned, is applied to his debts or distributed to his heirs. 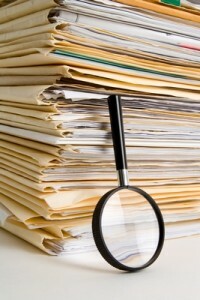 These reports, called “accounts,” are prepared using unique “fiduciary accounting” principles that are not familiar to most first-time executors. Virginia law will hold an executor personally liable if funds and assets of the estate for which he or she is responsible are not properly applied, distributed, and safeguarded. An executor also must personally insure that all debts and taxes owed by the decedent are paid from estate funds. Because of the stringency of the law’s requirements, executors and administrator often must expend significant sums (from estate assets) to pay the fees of the estate attorneys and accountants who assist them. Not all of a deceased person’s property goes through the probate process. Life insurance, retirement accounts, “P.O.D.” bank accounts, and “joint tenancy with right of survivorship” and “tenancy by the entireties” property all pass directly to the beneficiary who was named on a “beneficiary designation” form or to the surviving joint tenant automatically, without any court supervision. If the person created a revocable living trust or trusts during his lifetime, any property transferred to the trustee prior to the person’s death does not go through probate either. The process of debt payment and distribution of property by trustees is similar to probate, but the reporting requirements are usually less strict. Nevertheless, trustees, like executors, can still benefit from the assistance of experienced attorneys and accountants.